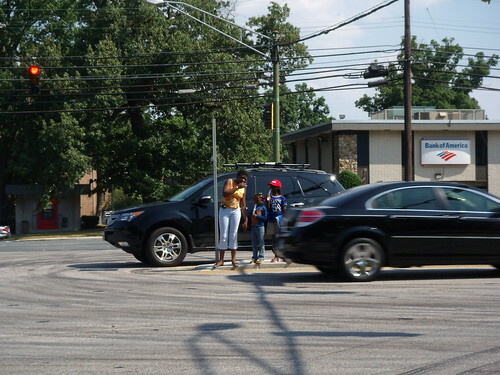 A family tries to cross Columbia Pike in 2007. Photo by the author. In yesterday's Washington Post, Bill Turque looks at increasing poverty in Montgomery County, much of which is clustered in East County neighborhoods like Briggs Chaney, located nine miles north of downtown Silver Spring. I was trying to think of things to say about it, but the story manages to take things we've been talking about here for the past eight years and wraps it up into one overarching narrative and history of how East County got this way and what might happen next. If you haven't read it yet, you you should do it now. It was a very good story, and I was pleased, if not shocked, to see the reports went to you to help further understand the history. Very interesting article. I'm shocked at the vitriol in some of the comments, though. What exactly do you propose to fix the problem? BRT and the science center will not fix the problem, which are items that you routinely push on this blog. There are probably some people that live in Briggs Chaney that are absolutely, down on their luck, poor. But, if you drive through the area, you will see quite a few nice cars, people sporting expensive hats, and plenty of nice shoes. The problem is a culture problem. People make material things their priority instead of trying to better themselves. Combine that with welfare, food stamps, and section 8, and people really have no reason to do anything. As far as the science center goes, what do you think is going to happen? All these poverty stricken people in Briggs Chaney and White Oak will suddenly land jobs as scientists and researchers? Most of these people are unskilled, and as a result, destined to work at minimum wage. Raising the wage will not help either, because the price of everything else will go up. So, Dan, what would you do? I'd probably start by acknowledging that, regardless of skill level, it's hard to find jobs within easy reach of East County, and a long trip to the region's big job centers, which contributes to diminished economic opportunities for the have-nots and an incentive to move out of the haves. I've been living back home in White Oak this month, and my commute to McPherson Square in DC takes an hour and 40 minutes each way. 40 minutes of that is just getting to downtown Silver Spring. More and faster transit options would reduce the commute time, putting more jobs within reach for everyone. After that, I'd remember that even though I work in a big office building with people who have master's degrees and PhDs, there are also hard-working people who clean toilets and answer phones and fix lights, and that my building provides work for them too. One would assume that there might jobs at a variety of skill levels in White Oak as well. Finally, I'd probably get off my high horse about people wearing nice shoes, because it's not like everyone who buys shoes at Payless has their priorities in order. Conservatives love to talk about welfare and Section 8, but ignore that not everybody starts out in life with a silver spoon in their mouth, and there are plenty of hard-working people who still don't make enough to make ends meet (even when they buy their shoes at Payless) and could use some assistance in one of the most expensive places to live in the nation. First off, there is low income housing MUCH closer to Metro in SS. How do you even know that all these people that live in White Oak and Briggs Chaney work Downtown? I would actually be willing to wager that most of them do not. I see White Oak Science Center (I will call it WOSC from here on out), providing a few different jobs. -Jobs that require a ton of education. Scientists and Doctors. It is a science center after all. How, if you have little to no job skills, which job are you going to be able to get? Cleaning and retail. Probably the same jobs that people who live in Briggs Chaney already have. WOSC would probably give White Oak a serious shot in the arm too, which will make the area more attractive. This will cause the owners and managers of the various townhouses/apartments to up their game. They will probably reduce the number of section 8 units and raise rent. I actually see the WOSC driving the poorer people away. If you want my opinion, you need to start training these lower income people. Train them in IT and skilled trade. They are destined to live their entire life at the bottom if they plan on working retail or food service. These people need a reason to climb, and again, a big thing is the culture. This all starts in the schools and we really need to figure out a way to get these kids to start making better choices. There is not a whole lot of 'easy' options for a 22 year old single mother with three kids. We need to be proactive in educating these teen and preteens that making the choice to sleep around or do drugs might ruin your life. I think we have some points of agreement here. Many of the jobs in the White Oak Science Gateway will be high-skill, but there will also be low-skill jobs, and that still means more low-skill jobs than there are now. And while there is some affordable housing closer to the Silver Spring Metro, that area is on the whole less affordable than it used to be. Rents at Georgian Towers, where I grew up (with a single mother putting herself through school), have tripled since we lived there in the 1990s - inflation has something to do with it, but so do the building's renovation and repositioning for higher-income tenants. 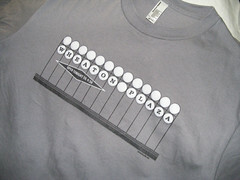 But in any case, even if you don't work in downtown DC (or even Silver Spring), it is difficult to access other job centers in Montgomery County like Bethesda, Rockville, or Gaithersburg, from East County, whether because of the longer distances, the traffic, or the less-than-great bus connections. I do think job training is important to ensure that people of all education levels, skill levels, etc. have a chance to get some of the good new jobs that could come to White Oak. 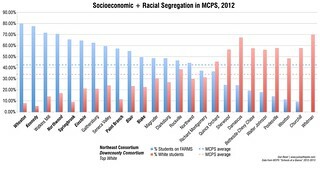 It's also why I think diverse schools are so important. A kid from a disadvantaged background coming up in a school with kids who are doctors and lawyers knows they can reach higher than one who goes to school with only other disadvantaged kids, and that's where I think some of the issues with choices that you raise come up.